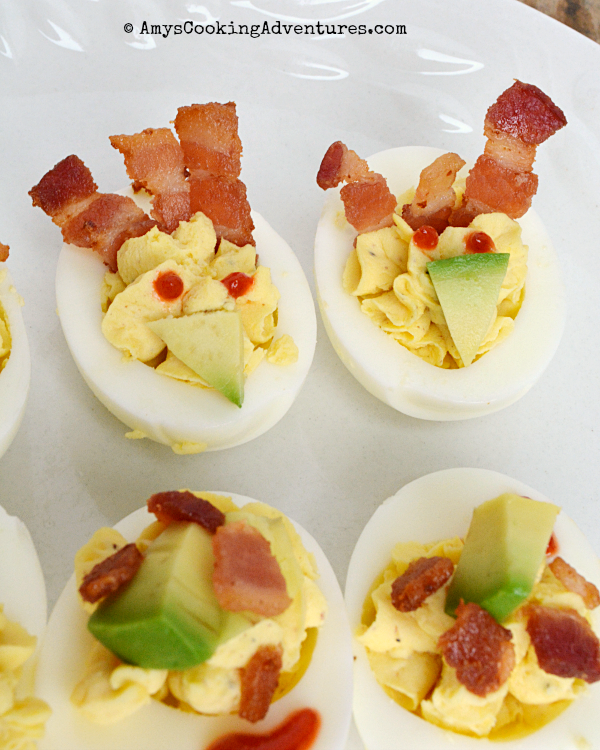 Bacon Avocado Deviled Eggs are a fun twist on a classic! Welcome to the first Fantastical Food Fight!! In FFF, participants are given a recipe theme, interpret it as they will and then share on the selected day. Our first food fight features deviled eggs! I don’t often make deviled eggs (mostly because I’m lazy). In fact, I don’t know if I’ve ever made them myself! I know I’ve definitely been passed a bowl of mashed yolks and been asked to finish the deviled eggs at holidays, but I’ve never been in charge. 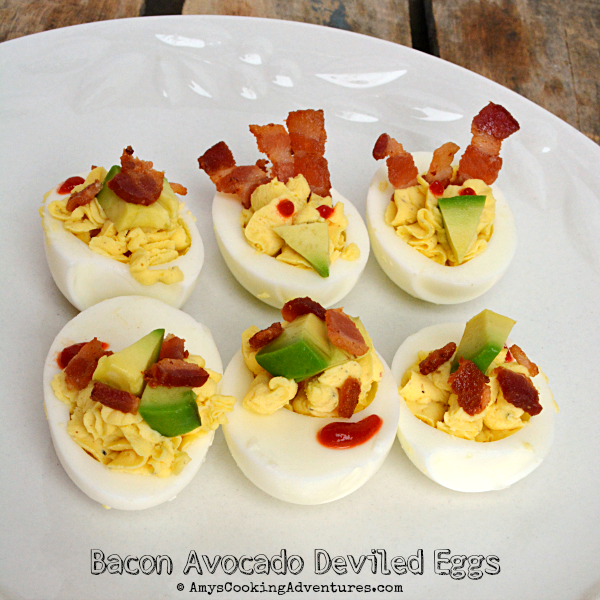 I decided to pull in a couple of my favorite flavors for these deviled eggs – bacon and avocado!! Because bacon and avocado made everything better! Oh and then sriracha too, because why not?!? Since it’s almost Thanksgiving, I tried to make a few of my deviled eggs look like turkeys. It was only moderately successful, but at least they still tasted good! Let the food fight begin! See below the recipe for more amazing deviled egg recipes! Slice each egg in half and place the yolks into a bowl. Mash the yolks with a fork, then stir in the mayo, mustard, and salt & pepper. Top with crumbled bacon, avocado slices, and a dash of sriracha or arrange into a little turkey! Playing with food is one of the best perks of being a food blogger. Bacon, avocado, and sriracha? Who can argue with that? They're cute little turkeys! I love the little turkeys! So cute! 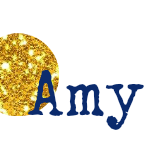 you did good the first time you were in charge amy! these are adorable, and sound totally delicious!